Posted by Nick Prescott on 23 February, 2018. 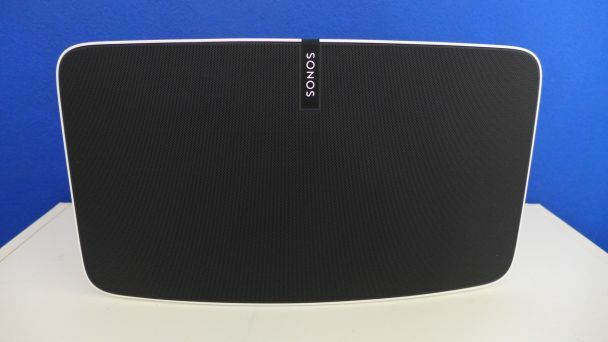 We wanted to write a SONOS review from an owner’s perspective, having enjoyed SONOS since 2009. 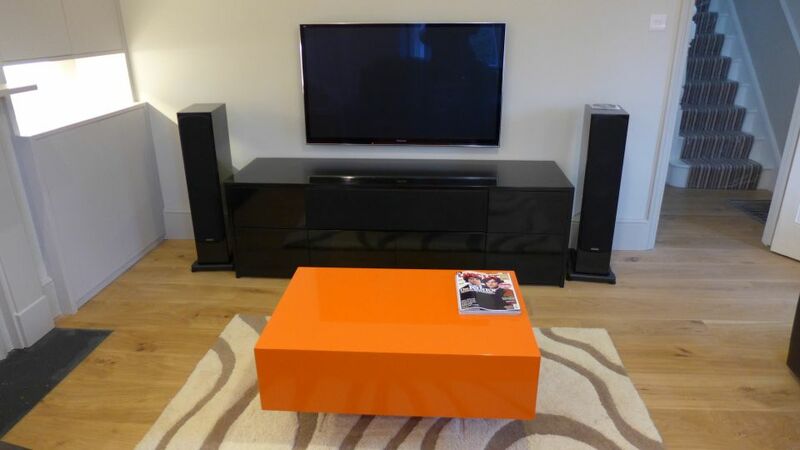 We also install SONOS in our clients’ homes as part of our house renovation service. In this blog, we don’t delve into the intricacies of the technical specification; nor do we perform the in-depth analysis of a Which? report. 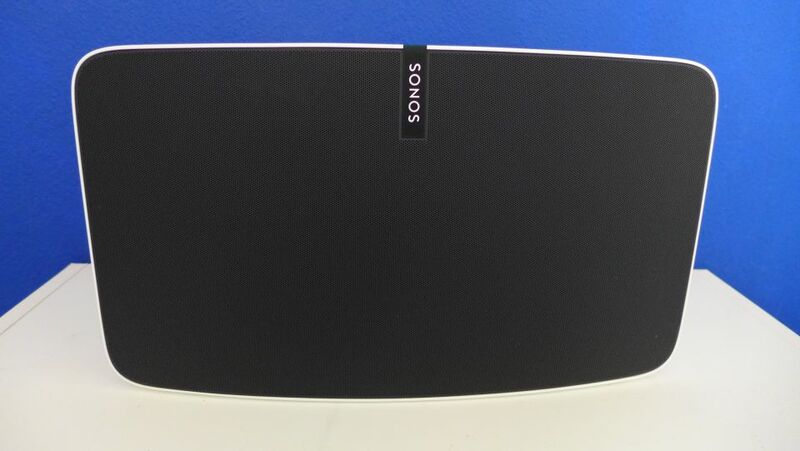 If you want a more detailed insight, we would refer you to the SONOS website, or to review sites like What HiFi? We just want to testify how easy, versatile and satisfying SONOS is to use from an owner’s point of view. Some retailers refer to SONOS as an entry-level, multi-room sound system; on price perhaps, but to call SONOS “entry level” is to underplay how fantastic it actually is. These days, we are really dealing in margins of excellence. There are certainly more expensive systems on the market (and we’ve fitted some for clients with top-end, hi-fi equipment). Indeed some systems now boast the ability to handle hi-resolution audio; we understand that SONOS tops out at CD quality (which is brilliant, anyway!). Critical lovers of classical music may hear a difference. But for many of us, SONOS fits the bill perfectly. Like all hi-fi products, the final sound quality is dependent on the source of the music and the chain of components between it and your ear. For instance, one of our own SONOS Connects is wired to an Arcam amplifier driving B&W ceiling speakers. When playing music in the form of a high-quality, lossless .wav file, the sound is exquisite. However, if the music is supplied from a streaming service in .mp3 format, the quality is still very good; but not quite as good. And that’s a function of the source, not of SONOS. You need to think whether extreme sound quality actually matters. 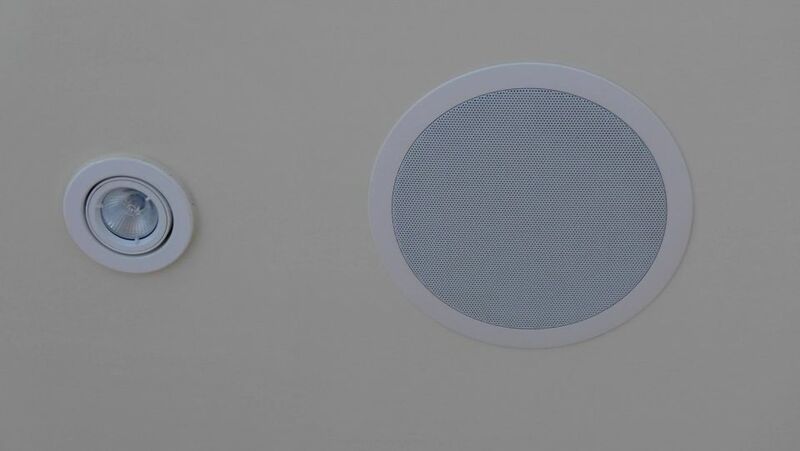 In a kitchen, for example, where you may be fitting ceiling speakers and just want some background entertainment, it is probably cost-effective to settle for a not-quite-so-fantastic system. SONOS was founded in 2002 and we first came across it in 2005. One of the cornerstones of our interior design process is to be efficient with storage, and we were impressed with the potential that SONOS offered in this respect. Traditionally, home entertainment takes up a lot of space: the record player, the CD player, the amplifier, the radio, LPs, CDs, speakers and so on. Here was a product in which we saw an opportunity to empty shelves and cupboards, offering our clients more space for other things. In conjunction with other devices that we will describe below, SONOS will consign much of your traditional paraphernalia to the loft. Everything is internet-driven, so you do need a connection. That allows you to listen to internet radio through SONOS (thousands of channels worldwide). We subscribe to a music streaming service at £5 per month, giving us access to millions of tracks all day long. 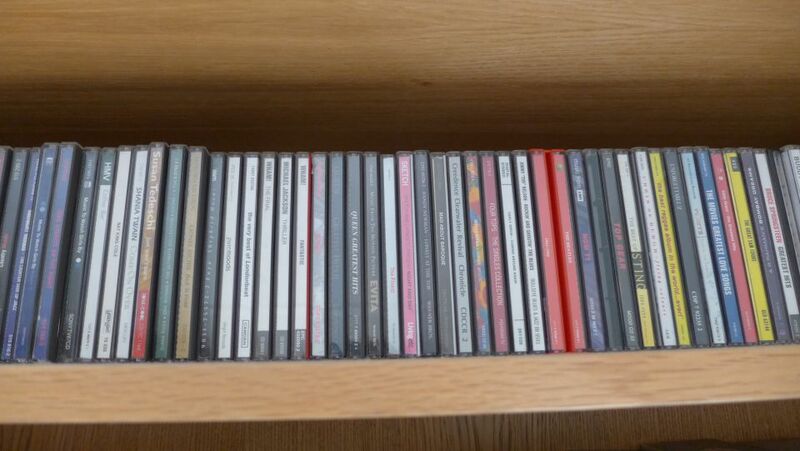 We have also “ripped” all our CDs to .wav files stored on a Network Attached Storage (NAS drive). Each CD took 5 minutes or so to rip, which you can do using your computer’s disk drive whilst you’re working; most computers have a standard package for ripping music. We even ripped all our old vinyl (LPs, EPs and 45s) and my grandad’s shellac 78s using a turntable interface, which took a lot longer! Having done this, we could empty our shelves of these CDs and records. A NAS is just a large hard drive that sits on a home network. So, for instance, when we create a playlist of our favourite songs, we can select from both the NAS drive and the streaming service and SONOS will pick each in sequence. 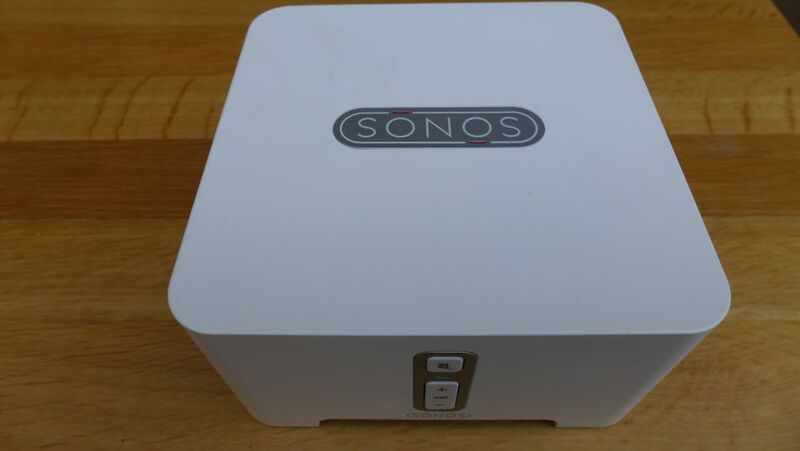 One of our clients recently put a few albums on a memory stick which she inserted into her router’s USB socket; this effectively acted as a NAS drive and she could listen to the tracks directly using the SONOS controller app (see more below). It’s that easy. As for our own installation, we fitted SONOS in 2009 during our home renovation. We purchased three (what are now called) SONOS Connect units. Each Connect requires its own amplifier and speakers but that was fine for us because everything was planned. Some SONOS units, such as the Play:5 pictured above have their own built-in amplifier and speakers with additional line-in sockets for you to connect other suitable devices. These units effectively stand alone, provided they have an internet connection. For a relatively small unit they sound great. Our original set-up allowed us to play music and radio in three separate rooms (zones). In each, we could choose the same or different music in any combination. SONOS provides a free smartphone app for controlling the sound (originally we had to purchase a hand-controller, which we still use in one room, but it’s now largely superfluous). The app is very convenient and easy to use once you remember where to tap. From here, you control what music is played in what room and at what volume. Since the original installation, our sons have each acquired a Play:5 so, as a family we now have five independent zones. The boys simply plugged them in, used the app to add them to the network, and they were up and running in minutes using a wireless connection. This is another great feature of SONOS; you can just add to it as you wish (up to 32 components!). It’s important to remember what SONOS is, and what it isn’t. Occasionally, we have to remind our clients (and our family) where SONOS begins and ends. 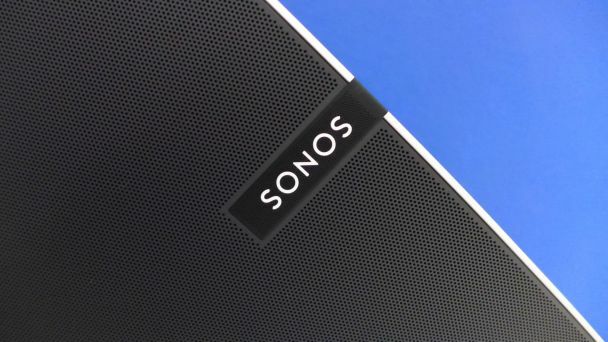 Because everything is connected and runs smoothly, it is easy to refer to the whole thing as “SONOS”. In fact, on the rare occasions when we lose sound, it is because we have lost our internet connection, or the NAS drive has been switched off. These are nothing to do with SONOS. We have had cause to call the SONOS helpline for advice twice in 9 years. The support staff are excellent. They have real people on the line wanting to do their best for you; and they love their products. They can download diagnostics remotely to check your system and do amazing things to resolve issues – all whilst sitting in their offices in the Netherlands; yes, they have British technicians working in The Netherlands. The help desk is readily available at the number shown on the SONOS website. One of the key aspects of our home renovation service is to future-proof our clients’ homes as far as practical. Most of them won’t have considered a home network, or multi-room entertainment system before we introduced them to the idea. That’s not to say that they commit to purchasing new TVs , amplifiers, and SONOS boxes; but it gives them greater scope to do so over the coming years. Best to fit all the cables while the house is being opened up, than to miss the opportunity. We plan each room’s layout so that the sockets, cables, speakers and so on are all in the right places. 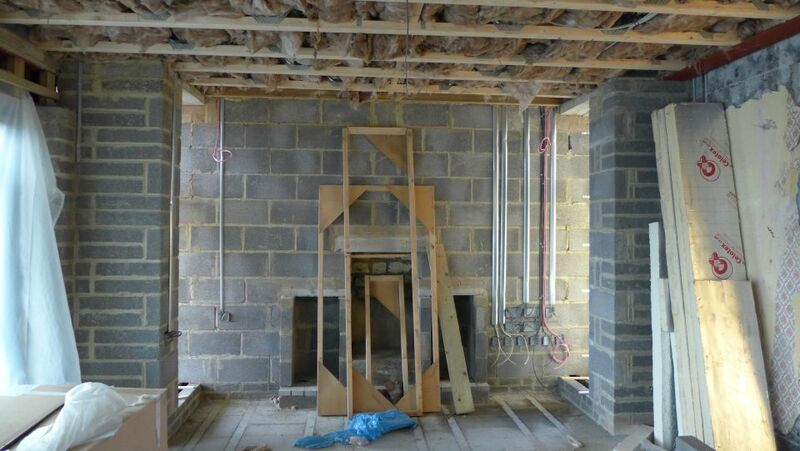 See how many cables we installed during first fix in the renovation above. Most clients are happy to meet with our hifi specialists and have their new equipment installed as part of the project; others start to build their system then add to it over time. 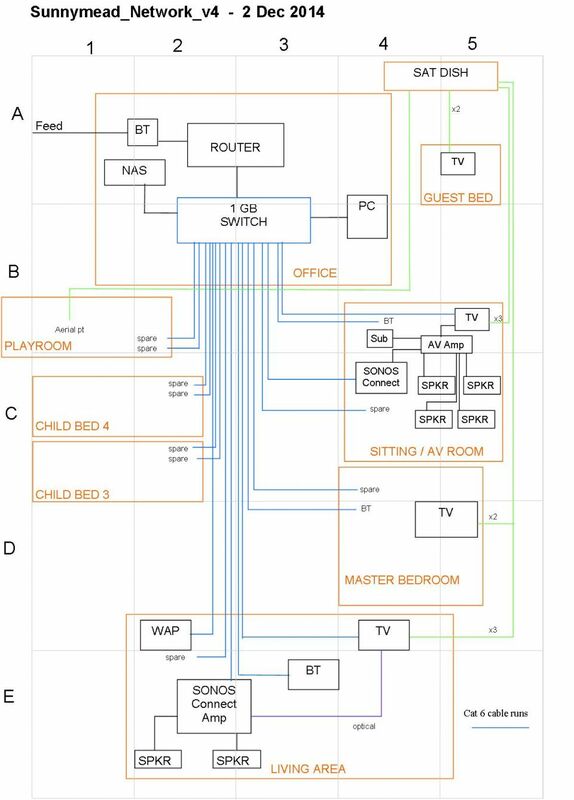 We use topological home network designs together with our floor plans to guide electricians during first fix. If the opportunity arises, we prefer to install Cat 6 cables and RJ45 sockets for SONOS (and other devices) to be wired to the network. SONOS does work perfectly well in a wireless set-up, but the wireless network does need to be reliable. We hope you’ve found this SONOS review helpful. Most reputable HiFi retailers will give you the opportunity to hear a SONOS set-up before you purchase. We invite clients round to our home to play with our system, to make sure they like it. This SONOS review included a selection of SONOS products, but there are others which the SONOS website will describe. There you can read about the SONOS soundbar, for instance, which a friend of ours raves about. We would certainly recommend SONOS to our readers. If you are looking for a quality multi-room sound experience, visit your local HiFi retailer for a demonstration.